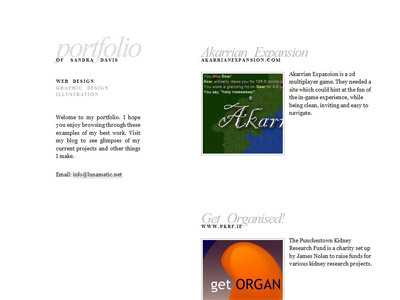 Hurrah, finally I’ve prepared a new online portfolio. I’ve been meaning to get rid of its predecessor, a single, scarily bright orange page for quite some time now. The new one is all white, gray and black, with a dash of red for items in focus.